Paper Crafts by Candace: Jaded Blossom Monthly Challenge! Hi Everyone! Happy Sunday! And its Monthly Challenge day over at Jaded Blossom! This months challenge is "Anything but a card". 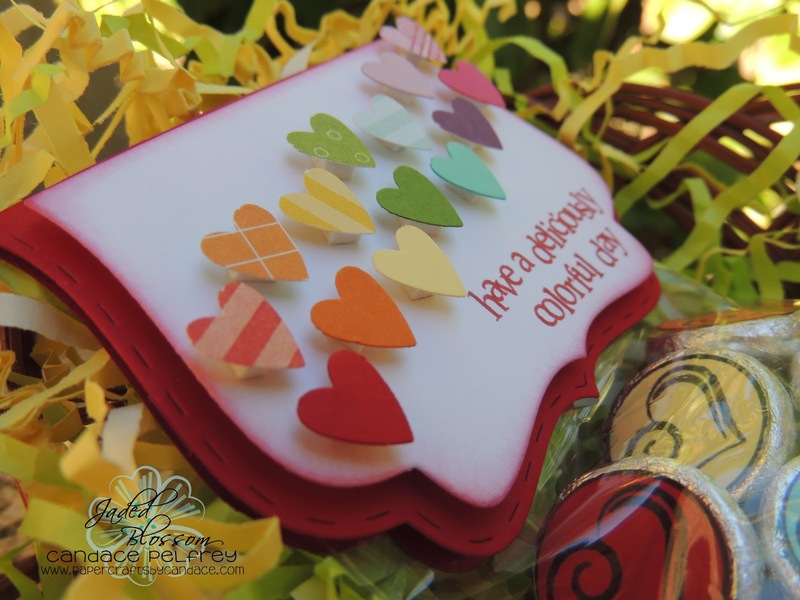 All you have to do is create something with a Jaded Blossom stamp on it that isn't a card. How easy is that?! So here is what I created! 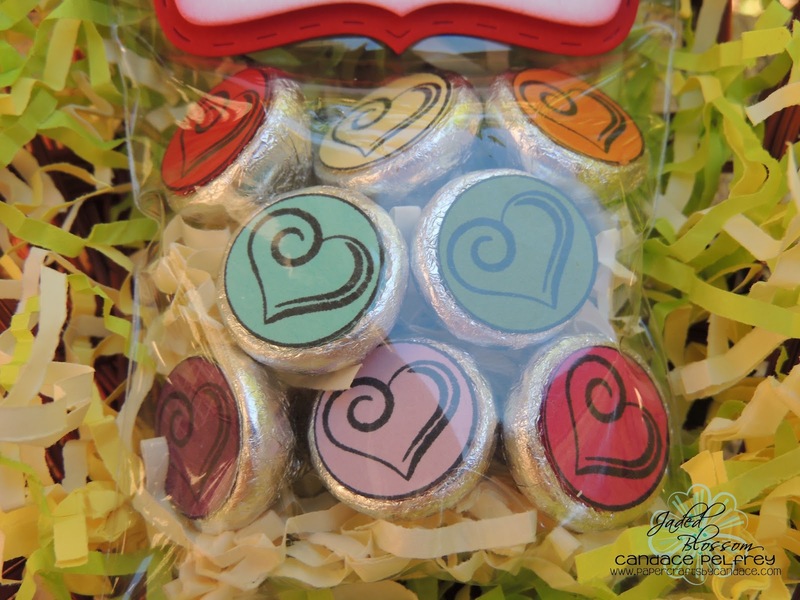 For the top of the treat bag I used the Jaded Blossom "Fancy Topper Die". 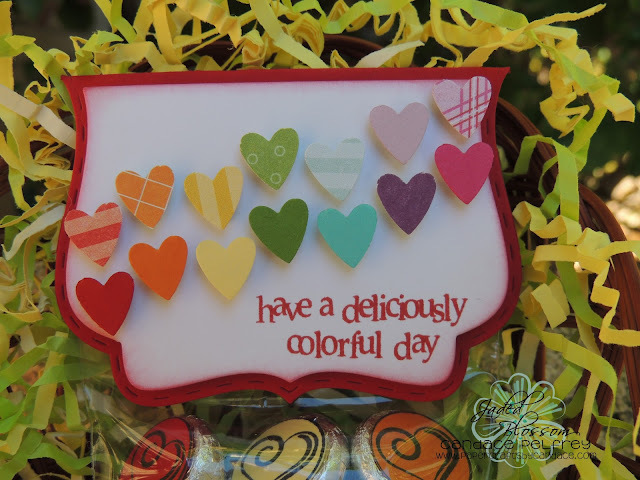 I also used the sentiment Have a deliciously colorful day from Jaded Blossom's "Got Candy?" I punched out tiny punches out of a Stampin Up punch and pop dotted them on the topper. The hearts on the bottom of the kisses are from Jaded Blossom's "Valentine Candies"
Here is a side view so you can see the hearts pop dotted along with the insert of the fancy topper die . Thanks for checking out my project today! Make sure to head over to Jaded Blossom to see what the rest of the design team has created! 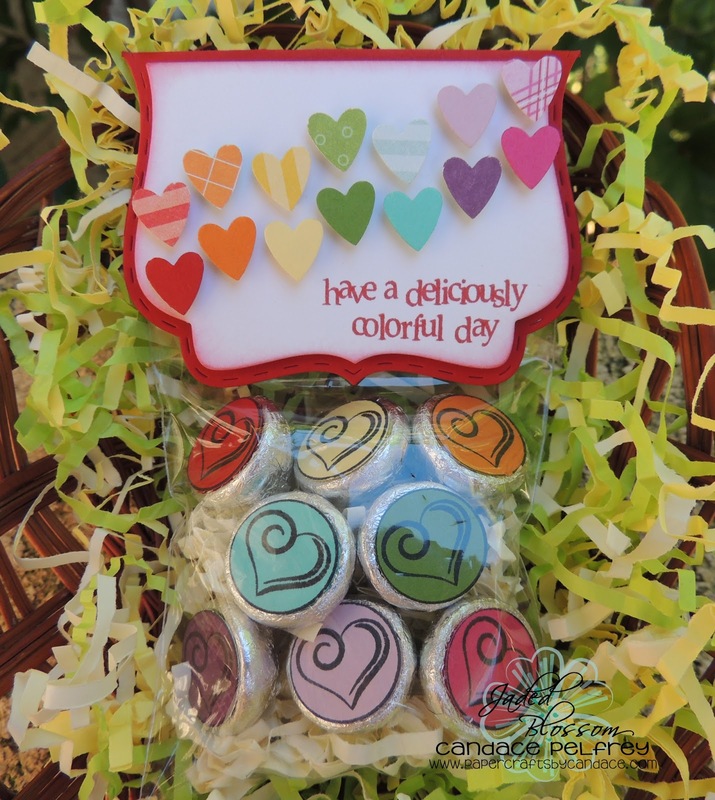 Very cute...love the "popped" hearts!!! So Pretty, definitely love all the colors. These little hearts are too sweet popping up off the page like that.